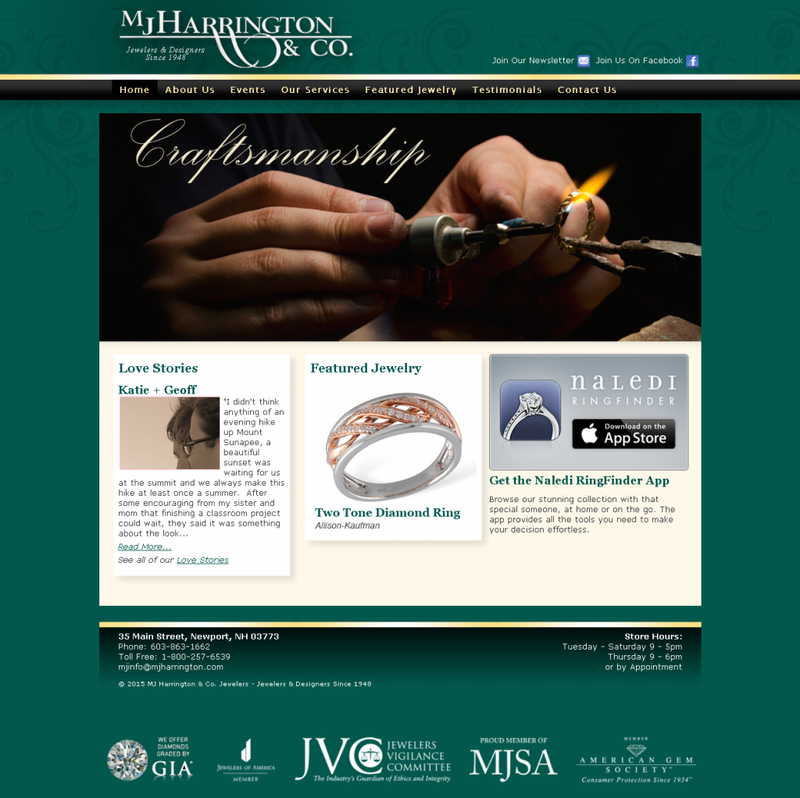 I built MJ Harrington a website back in 2013, collaborating on the design details with their marketing manager. In 2017 the site was re-built by a local Advertising Agency. Below is the before and after on that re-build. 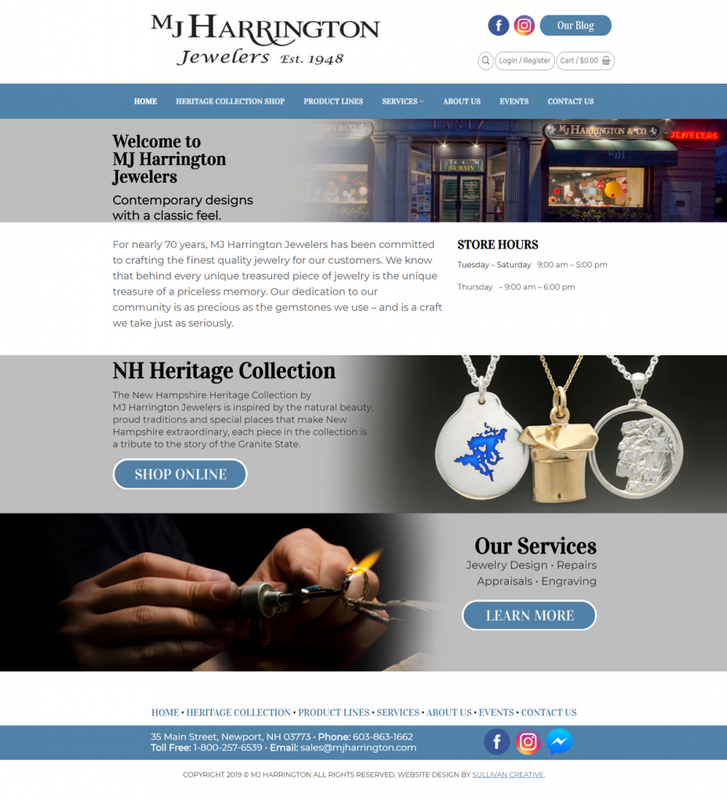 I think the site I built in 2013 looks classier, richer and more appropriate for a jewelry store. To my eye the new site seems choppy and cheap or basic. What do you think? I guess now, years later I’m not a huge fan of the tan background we used in that lower section. But changing it would be a very simple CSS change.